Tommy Perry Flanders, a graduate of Georgia Southern University, earned a bachelor’s degree in biology in 1992. He graduated with honors from Gupton Jones College of Funeral Service in Atlanta. Tommy is a member of the Georgia Funeral Directors Association, a member of the Georgia Coroner’s Association where he serves as District Director, Deputy Coroner of Bryan County and former instructor of mortuary science at Ogeechee Technical College. He is a licensed funeral director, insurance agent and embalmer with over 18 years experience. Tommy is a member of the Academy of Graduate Embalmers and North Bryan County Chamber of Commerce and the Pembroke Downtown Development Authority. He is also a member of the First Baptist Church of Claxton where he and his wife, Julie were married in 2000. Tommy owns and operates Flanders Morrison Funeral Home. Audie Powell graduated from Toombs County High School in 2000 and served 7 ½ years in the Marine Corps as a paralegal specialist and marksmanship instructor. He was deployed with the 26th Marine Expeditionary Unit in 2003 during the invasion of Mosul, Iraq and a peace keeping mission in Liberia, Africa. Audie graduated from mortuary school at Ogeechee Technical College and has worked in the funeral business for over eleven years. Audie serves Bryan County as Deputy Coroner, is a member and District 5 Co-Chairman for the Georgia Funeral Directors Association and also a member of the Marine Corps League West Chatham Det #1326. He is married to Allison Powell and they are members of Faith Baptist Church in Guyton. Ernest grew up in Effingham County, graduating from Effingham County High School in 1976. He married and lived in Bryan County for 23 years rearing his two children, Victoria Seigler Paper and Phillip Seigler. Ernest is semi-retired from working in the oil and gas industries. He moved back to his family home in Effingham about ten years ago. Ernest is an active member of Sand Hill Baptist Church. His hobbies include floral design and yard work. Ernest has been with Flanders Morrison Funeral Home for four years. James grew up in Montgomery and Wheeler Counties. He graduated from Wheeler County High School in 1966 and Brewton Parker College in 1968. He was married for 42 years to the late Lawara Durden from Savannah, Ga. He is the father of three children and PaPaw to five wonderful grandchildren. He attends Black Creek Holy Church of God, where he teaches Adult Sunday School Class. He retired from AT&T (Bellsouth) after 39 years of service. He has been employed by Flanders Morrison Funeral Home for five years. Doug was born and raised in Pembroke, GA. He graduated from Bryan County High School in 1970 and later graduate from Georgia Southern University in 1976. Dough has been married for 36 years to Robin Smith DeLoach. They have two daughters, Betsy DeLoach Mallard and Lacey DeLoach Collins and five grandchildren. Doug retired from the Pembroke Post Office with 31 years of service as a rural carrier. He is a member of Bethel Missionary Baptist Church where he serves as a deacon. He loves hunting, fishing and his grandchildren. He has been with Flanders Morrison Funeral Home for two years. Rex Smith is a life long resident of Bryan County. Rex retired from the Georgia Department of Transportation, National Guard, City of Pembroke, and he serves as a Pembroke volunteer firefighter. 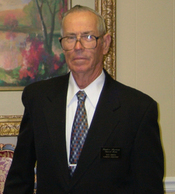 He began working in the funeral business with Caldwell Morrison in 1988. Rex is also a Charter member of United Methodist Church of Pembroke and long-time member of Pembroke Lions Club. David Hogan was born in Charlton County, Ga .and grew up in Effingham County. He is married to Shirley Wheeler Hogan, they have 1 daughter, Sherry Tapley, and is Pop Pop to their 2 grandsons, Jakob and Carter Tapley. He proudly served our country in the USMC from 1968 to 1974 with a tour of duty in Viet Nam from 1968 to 1969. He retired from Stevedoring Services of America in 2016 and he is an active member of Olive Branch Baptist Church. David’s hobbies include fishing and camping. Susan was born and raised in Bulloch County. 1981 Honors Graduate and Salutatorian from Bible Baptist Christian School Statesboro, GA. Married to Graylin Smith for 25 years they have 1 son, Lane. Susan has 18 years in the financial services, over 20 years in the network marketing industry, formerly served as a committee member of the NWTF Ogeechee Chapter and Cowboys for kids. She currently is a sales representative for Revenue Creations and is a board member for Homebound Services/Med Connections Inc. in Statesboro, GA. Along with enjoying spending time with family she loves camping, fishing, boating and beach trips with a huge soft spot for horses.